Texta Chainsaw Massacre: Hello Weenies! 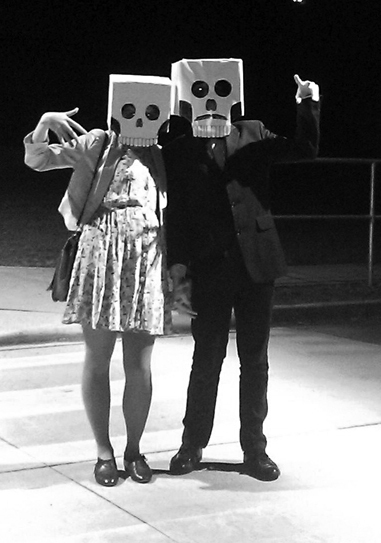 For Halloween my boyfriend Steven and I made these rad skull masks from cardboard boxes. They must have been really scary because we scared off all the taxis and ended up spending most of the night costumed up and dancing to gangsta rap on the streets of Canberra. I love making my own costumes especially hats and masks. If you are having a costume party you should probably invite me. To colour!, to draw! I feel powerful once more!